Disclosure: This post is sponsored by Society Culinaria on behalf of The Idaho Potato Commission. The recipe and opinions are 100% my own. Even though we are experiencing June gloom here in California… the truth is 4th of July is creeping up on us. Which in my world means lots of parties and family gatherings sprinkled with friends and food. But we couldn’t have a gathering without POTATO SALAD, now could we? I decided to get a jump start on my summer holiday menu, and didn’t want to make the same expected potato salad that always shows up to the party, so I mixed it up a bit and added some FLAVOR to that equation. 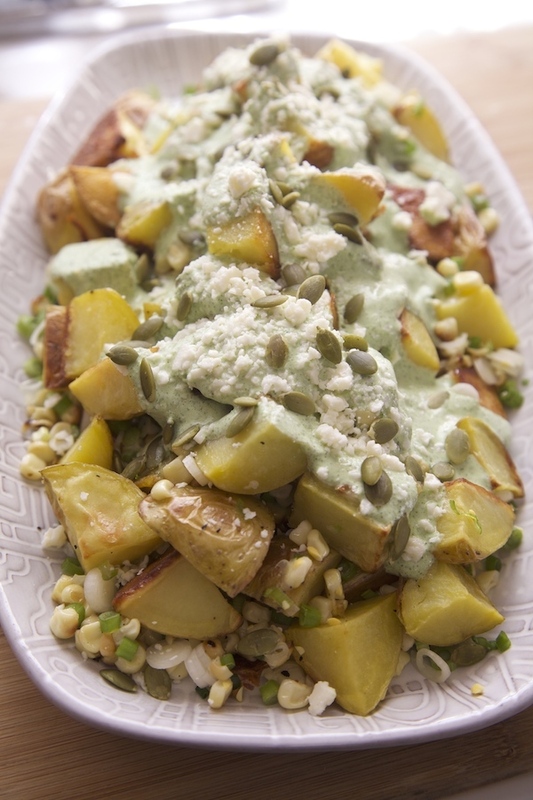 How do you make summer potato salad? Wash and dry potatoes, then cut them into 2 inch cubes. 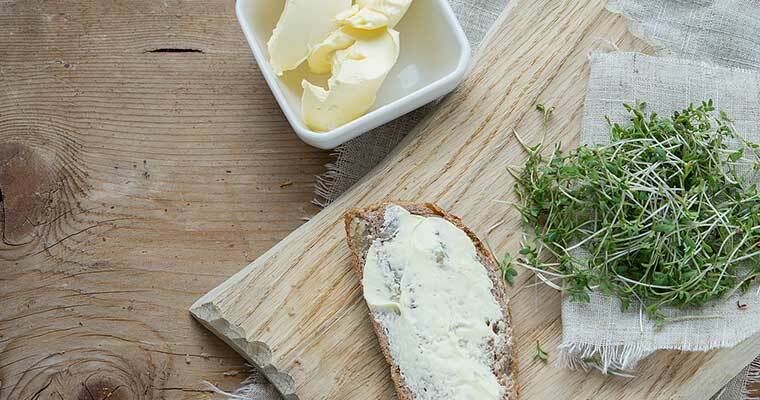 Place in a large bowl and drizzle olive oil over potato cubes. Mix to coat all potatoes. Sprinkle with salt and pepper to taste. 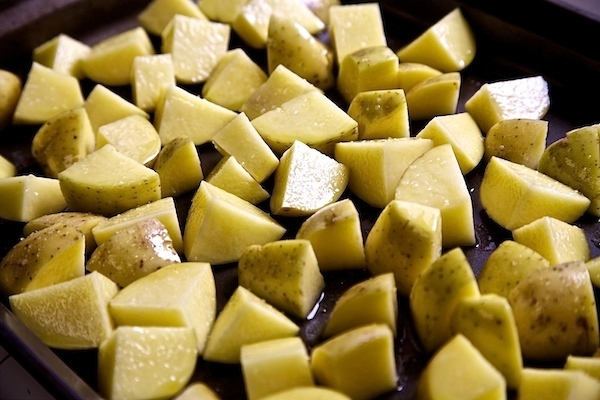 Remove potato cubes from bowl and place on a baking sheet. Bake potatoes for 40 minutes, turning at the halfway mark (20 minutes in). 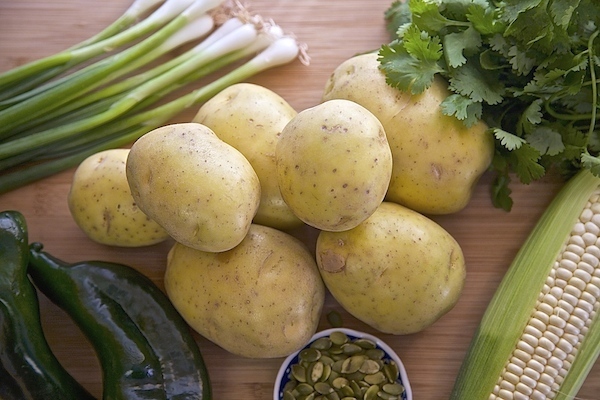 Place potatoes back in a bowl and mix in corn kernels and green onion. Set to the side. Add garlic cloves, cilantro, pasilla chile, and sour cream to a blender. Blend until the mixture becomes smooth. 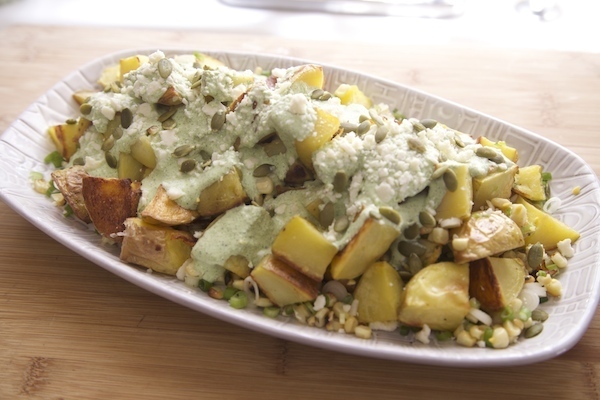 Place potato mixture on a serving plate, then pour sour cream/cilantro mixture over the top. Sprinkle pepitas, and cotija over the sauce. Hi! 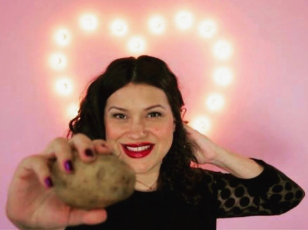 I'm Nicole Presley, a culinary enthusiast, recipe developer, video content creator, and food stylist. My childhood and life experiences drive me to create for Presley’s Pantry—a platform where I celebrate family, food and develop original recipes from my East L.A. kitchen.